Matt Damon has starred in countless hit films, such as Good Will Hunting, the Bourne series, the Ocean’s Trilogy, The Departed, and many more, making him one of the highest grossing actors of all time. Damon has also branched out to film production, alongside his long-time friend, Ben Affleck. 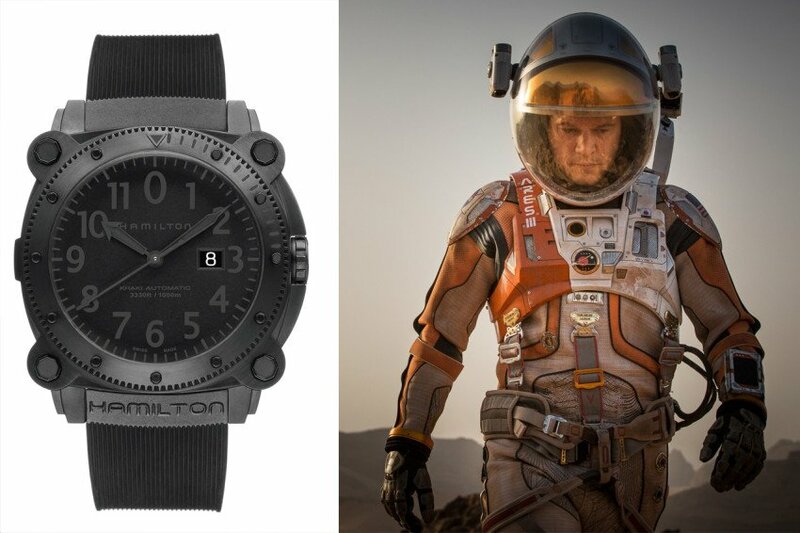 In one of Damon’s more recent roles as Mark Watney in the Martian, he wore a stealthy, all-black Hamilton BeLOWZERO. This watch features a black dial with Arabic hour markers, a PVD coated black case, and black rubber strap, appearing rugged enough to withstand Mars’ harsh climate. An interesting aspect of this watch is that the hour markers and hands appear black until the lights go out and the lume glows green. 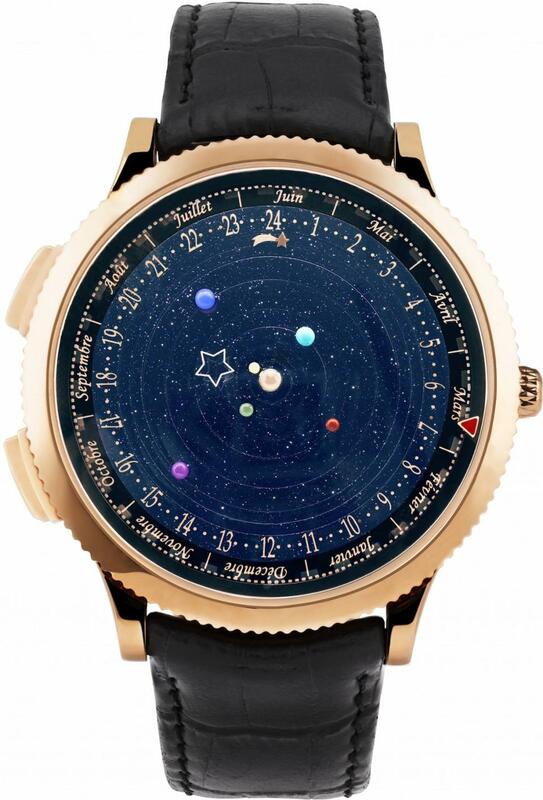 Van Cleef & Arpels’ Midnight Planetarium features a part of our solar system. The most unique watch Damon has ever been seen wearing would have to be the Van Cleef & Arpels’ Midnight Planetarium watch, which he wore at the 2016 Oscars. This watch is capable of tracking more than just the time, and maps the movement of the solar system. The dial showcases six of the planets orbiting around the sun. The outer ring tracks the month and hour of day, while the year and date can be found in two apertures on the dial. This planetary watch is definitely a head turner and was the perfect accessory to wear for his Best Actor nomination in The Martian. In his own personal life, Damon has always had a fondness for Rolex watches, as they represent precision and focus. He is famous for gifting friends with Rolex watches and even gave each his college classmates a Rolex watch, just to show them that he had not forgotten about them. His own go-to watch is a vintage Rolex Explorer 1016, and he can be seen wearing it out and about. Damon’s Explorer has a 1570 caliber automatic movement with hacking feature and a solid link oyster bracelet. 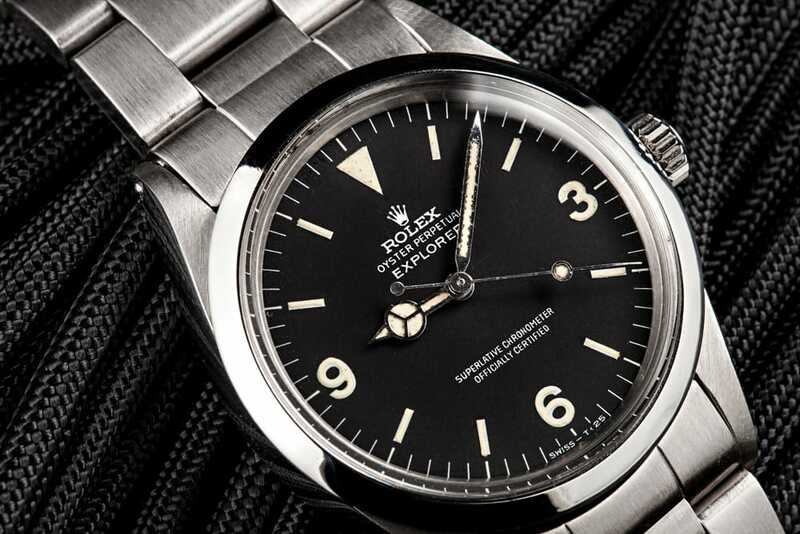 The Explorer was originally made famous for its ascent to the summit of Mount Everest and remains an understated classic. Which of these watches caught your eye? The Hamilton, Van Cleef & Arpels’ Midnight Planetarium, or the all-time classic Rolex Explorer 1016.